New Delhi: An 18-year-old has appeared in a New Zealand court charged with distributing the livestream video of the deadly mass shooting at Christchurch’s Al Noor mosque. The teenager, whose name was suppressed by the judge, was also charged with publishing a photograph of the mosque with the message “target acquired”, and for inciting violence. He faces a maximum of 14 years in prison for each charge, prosecutors said. A judge did not grant him bail and he is due back in court on April 8. 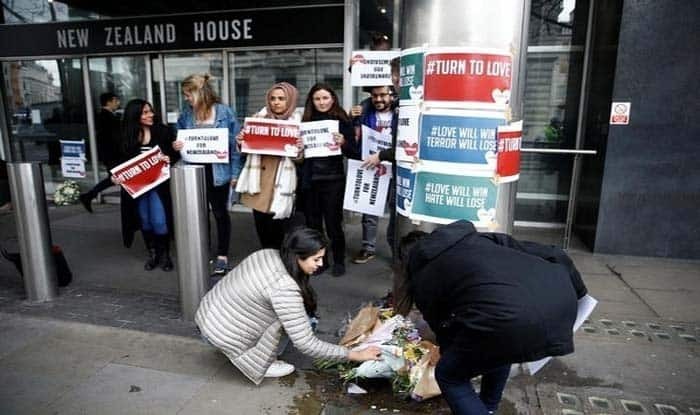 Meanwhile, there were Indians among the 50 people killed by a white supremacist, who opened fire on worshippers at two mosques in Christchurch, the Indian High Commission said. The attacker, identified by authorities as Australia-born Brenton Tarrant, 28, targeted immigrants during Friday prayers. Witnesses said victims were shot at close range. The high commission confirmed on Sunday that five Indians were killed in the attack. “With a very heavy heart, we share the news of loss of precious lives of our five nationals in the ghastly terror attack in #Christchurch,” it tweeted. In another tweet later, the high commission informed that Immigration NZ has set up a dedicated webpage to expedite the visa for family members of Christchurch victims.